I’ve been told we have a wasp moth infestation. We didn’t even know about them but last week we started seeing tons of moths on the house and windows. Its like they came from no where. And the local extension agent said they’re wasp moths and now we see their larvae have eating our Ficus and some other shrubs. What can we spray to get rid of them? 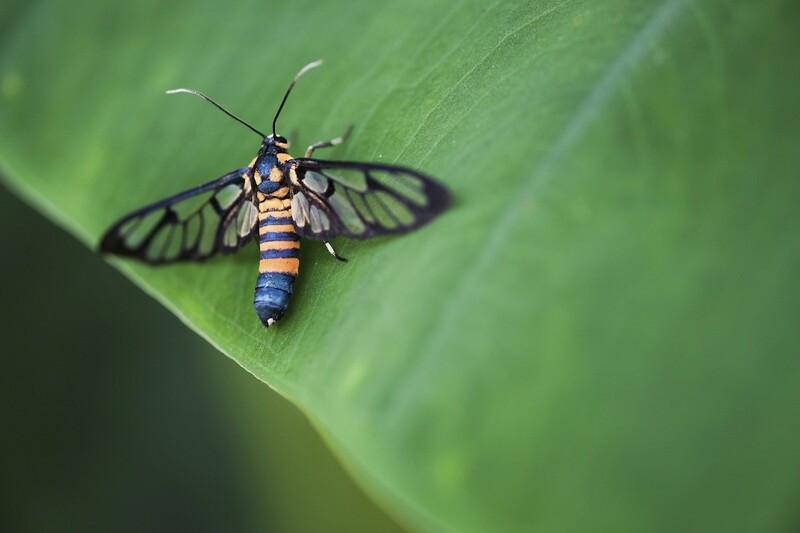 Wasp moths can feed on a range of plants and like the Edwards Moth, they love Ficus. Many times their larvae will go unnoticed but once they pupate and become adults, your yard will be full of pheromones which will attract more. This usually happens late summer and it will commonly lead to hundreds if not thousands of moths collecting on a homes siding, doors, windows and roof. To get them off the home and plants, spray with BIFEN XTS. Add 1 oz to our HOSE END SPRAYER and fill it to the 5 gallon line. Hook it to your garden hose and then spray the entire contents over 5,000 sq/ft. 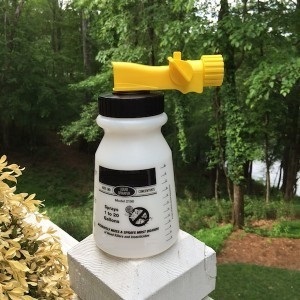 If you have a larger area to treat, add 2 oz and fill it to the 10 gallon line. Now you could use a good PUMP SPRAYER to make the application mixing 1/2 oz per gallon of water. But the key when making the application is to use enough water which is why the hose end sprayer is usually the best option. Whichever sprayer you use, be sure to treat once a week until all the moths are gone. It will generally take 2-3 treatments to knock them out and next spring and summer, be sure to spray again at least twice to make sure they don’t come back.